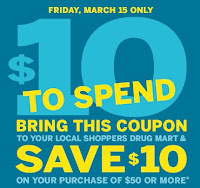 Are you planning a trip to Shoppers Drug Mart? Well if you are planning on heading there tomorrow if you spend $50.00 or more before taxes you can take advantage of the Spend $50.00 save $10.00 with printable coupon. 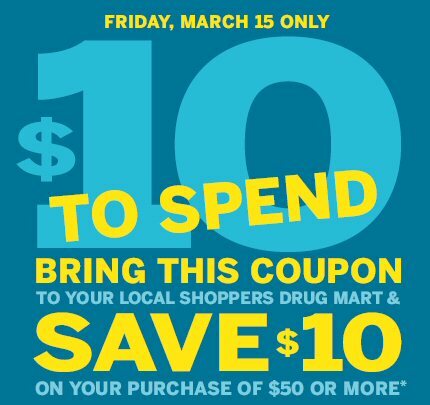 This coupon is valid Friday, March 15th only. Some restrictions apply be sure to read coupon details for more information.